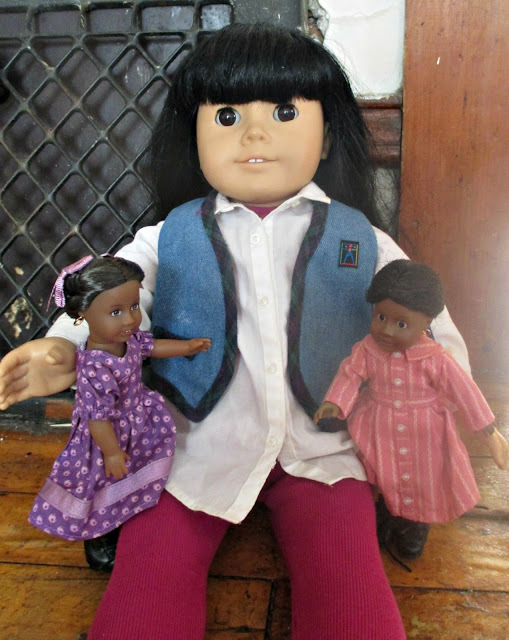 Dreaming of Dolls: Secret Snarker 2016! I moved, and I have been so busy, and have no Internet at home! 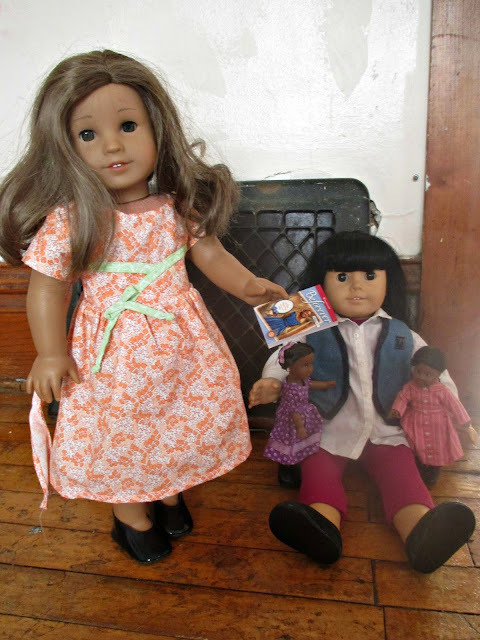 I participated in American Girl Collectors' Secret Snarker swap. I gave a gift to one person, and a different person sent me a gift. I got Special Edition mini Addy from thecatsme0w! She is so cute, and I had been wanting her. I am so happy! Here she is in her box. The outer box was easy to remove. Halfway out of the box. It was harder to get her out of here. Finally out of the box! I love this stand. It is so cute, even though she can stand on her own. She is more secure in the stand. A Tale of two Addys! Both mini Addys are stinking cute even from the back. Anne wants to claim both Addys as her own. She will, however, allow Kanani to read the book. Cute! I'm surprised to see there's such a height difference between the new and the old ones. Yeah, the older mini dolls with inset eyes are shorter than the ones with painted eyes, whether they have cloth or fabric bodies.